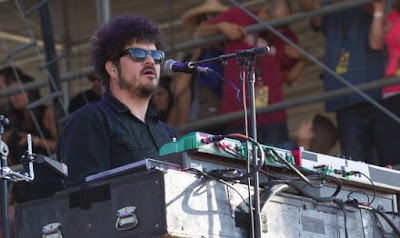 Musician Richard Swift has died aged 41, it was announced today. The producer, solo musician and multi-instrumentalist was best known for being a member of the Shins and the Arcs. A post on Swift's Facebook page read: "All the angels sing 'Que Sera Sera.'" His Black Keys and Arcs bandmate Dan Auerbach took to Instagram to pay tribute, writing: "Today the world lost one of the most talented musicians I know. He’s now with his Mom and Sister. I will miss you my friend." He died in Tacoma, Washington this morning but the cause of death has not been annnounced.